Home Page Cam Links The Cam Doctor Misc. This is the ISA based Cam Doctor interface card that connects the linear and rotary gages to the computer. 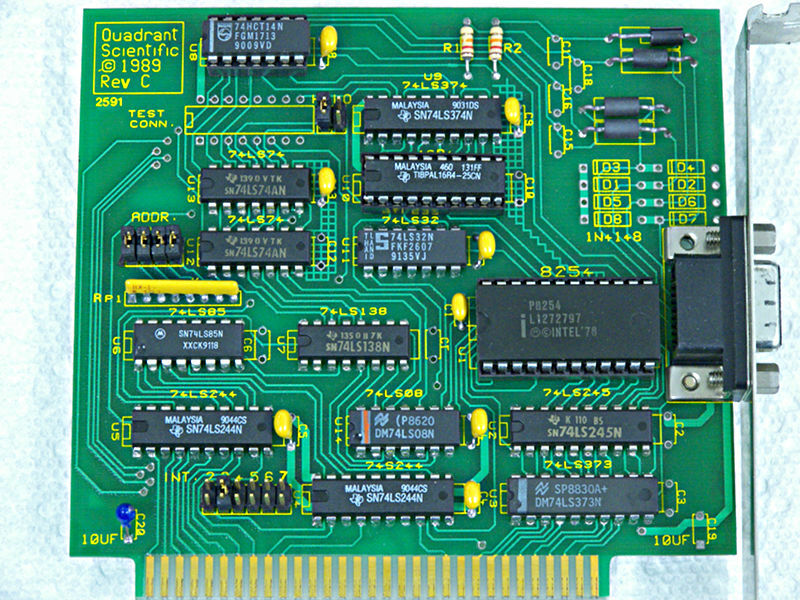 I must mention again that for this card and the Cam Dr. software to work properly, the computer should be a 386/486 type with a processor speed around 33MHZ or less, and MS-Dos 6.22 or equivalent Dos based operating system. Various tries in faster boards with even a 100MHZ Pentium have not been successful. There is some evidence that as long as the operating system is Dos, whether Dos7 (Win95/98) or FreeDOS, the system will work, but these configurations have not been tested by me. 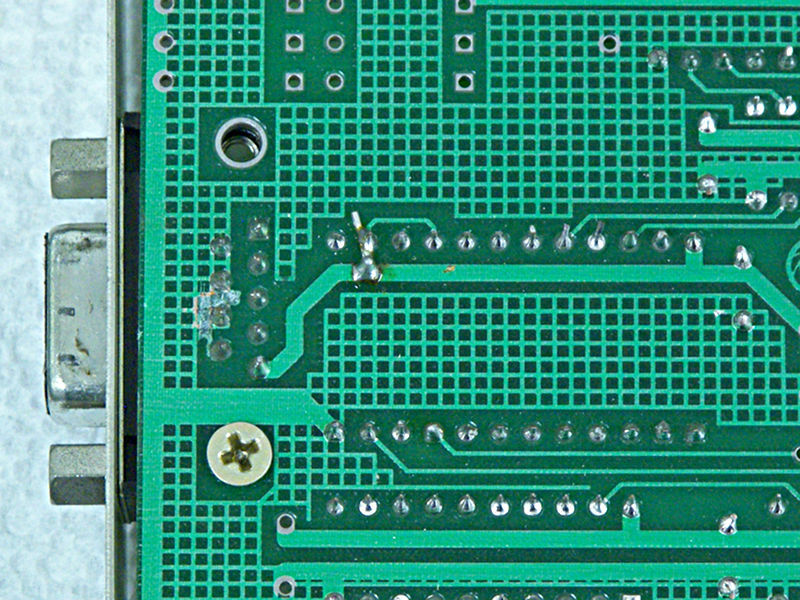 This is the back of the board, with the recommend modifications for removal of the grounding around 3 pins, and addition of a jumper to another. The documentation for these modifications has long disappeared from my notes, but eliminate the need to rotate the encoder to get the linear gage to work with the Direct Readout program. Note- Rev. D boards produced after 1993 do not need any modification. GS1630A My newest gage, has a bellows protecting the shaft from contaminants. GS331 My oldest gage, has a rigid case with more of an offset to the plunger, I use this the most for measuring valve motion in the cylinder head. 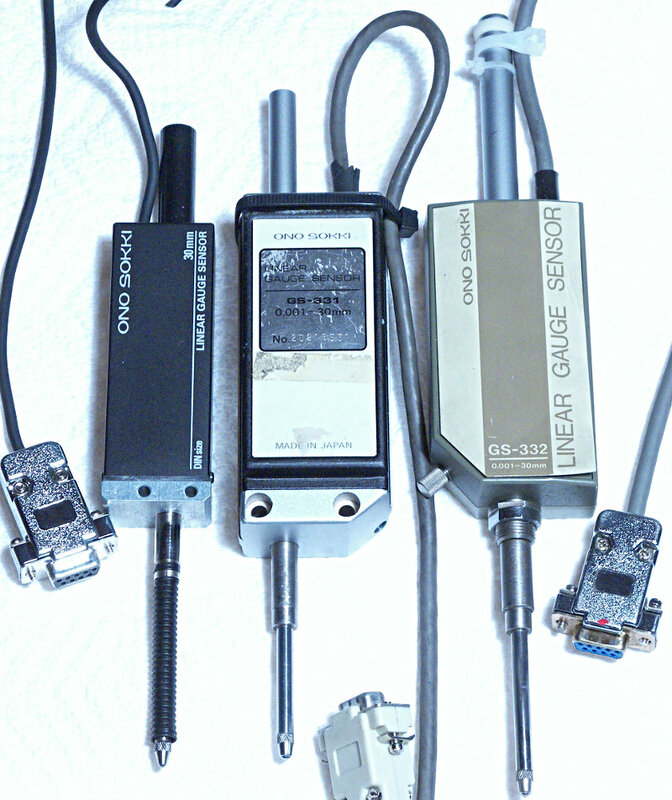 All of these gages are functionally the same, and as you can see have had the "serial" type connectors installed specifically for the special Cam Doctor serial interface junction. While the gages are 30mm rated travel (1.181"), they actually will read slightly more. The resolution is .001mm (.00003937") , or "40 millionths" or "One Micron". While this sounds like a small number, better data could be collected with a .0001mm Heidenhain linear gage, a project I've been working to get all the parts necessary to put together. This is the rotary encoder that is the common upgrade to the original 360 degree encoder. 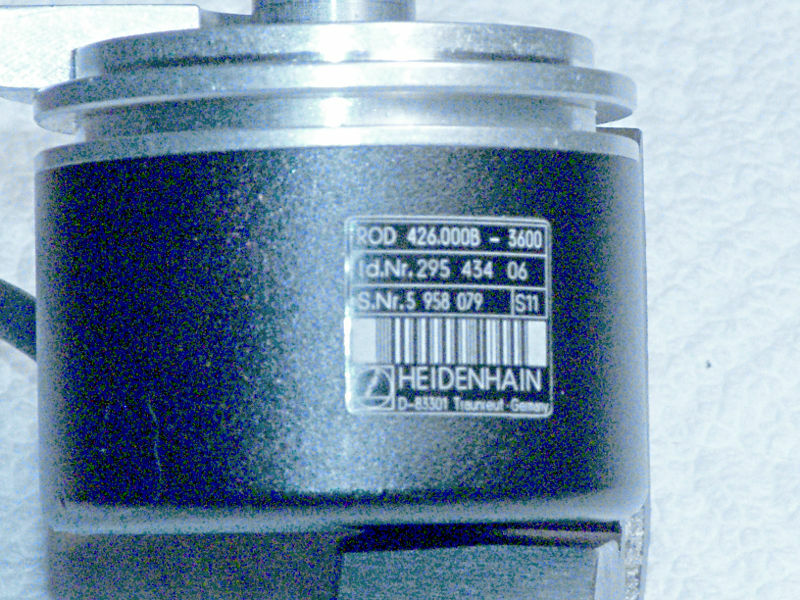 This encoder has a resolution of .1 degrees, although the usual data collection only involves 360 cam degrees. There is an option in the Cam Dr. setup screen to allow colleciton of 3600 data points if desired.